It’s hard to imagine a more desolate, soul-crushing landscape than the great salt flats in Bolivia. The Salar de Uyuni stretch as far as the eye can see for thousands of square miles, with nothing to disturb the horizon but a vast layer of salt several feet thick. It’s like a surreal, alien planet completely incapable of supporting any life. This is the unimaginable backdrop for a breathtaking new video for Adam Bryanbaum Wiltzie’s drifting ambient piece “The Few Of Us Left.” Wiltzie, best known for his work in Stars Of The Lid and A Winged Victory For The Sullen, named the song after the impoverished people who spend their days laboring on the great flats, scooping shovelfuls of salt into mounds to sell. There aren’t many of them left because the Bolivian government is tearing up the flats to mine the infinitely more valuable lithium recently discovered below the salt. 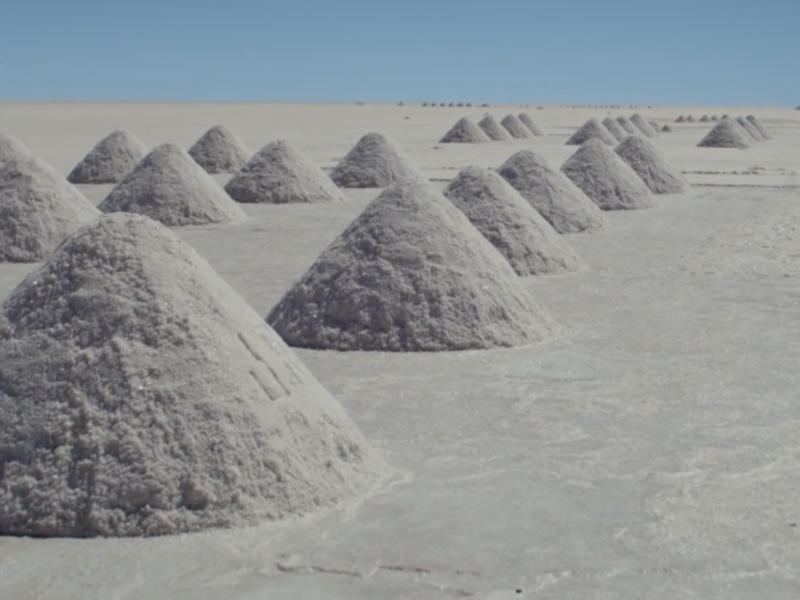 A new documentary, Salero, profiles the remaining salt harvesters and their struggle to hold on. Wiltzie provided the deeply moving score for the film, which includes “The Few Of Us Left.” The video for the song is a compilation of scenes from the film, beautifully edited together by Marina Katz. The film Salero is out Dec. 1, while Wiltzie’s complete soundtrack is due out Nov. 11.